DFT - DEFENCEFIT IS A JOINT-STOCK COMPANY (SPA) FORMED BY A MULTIDISCIPLINARY TEAM AND SPECIALIST IN ITS FIELD. THIS TEAM HAS THE TECHNICAL KNOW-HOW AND VAST EXPERIENCE BOTH IN THE ART OF DEFENSE, AND IN ADVISING MULTINATIONAL COMPANIES. With more than 30 years practicing and teaching personal defense of the most important disciplines in the world of martial arts. At the moment Master Javier Carvajal is 6 ° Dan in Tae Kwon Do, 5 ° Dan in Kickboxing, 5 ° dan in tang sooDo, 4 ° dn in shotokan and shito ryu karate, 4 ° in Kung Fu, 3 ° Dan in Escrima, Kali and "Jhoon RheeSystem", and Certified as an Instructor in "Keysi Fighting Method" specializing in personal police defense and security at all levels. Blue Jiujitsu, Lucha Grecoromana National Category. Adviser for security of Clubs, Public and Private Companies. With more than 34 years of experience in Martial Arts, participant and instructor SWAT, Instructor of the Department. Of Police and Adviser of the Department. Of US State. 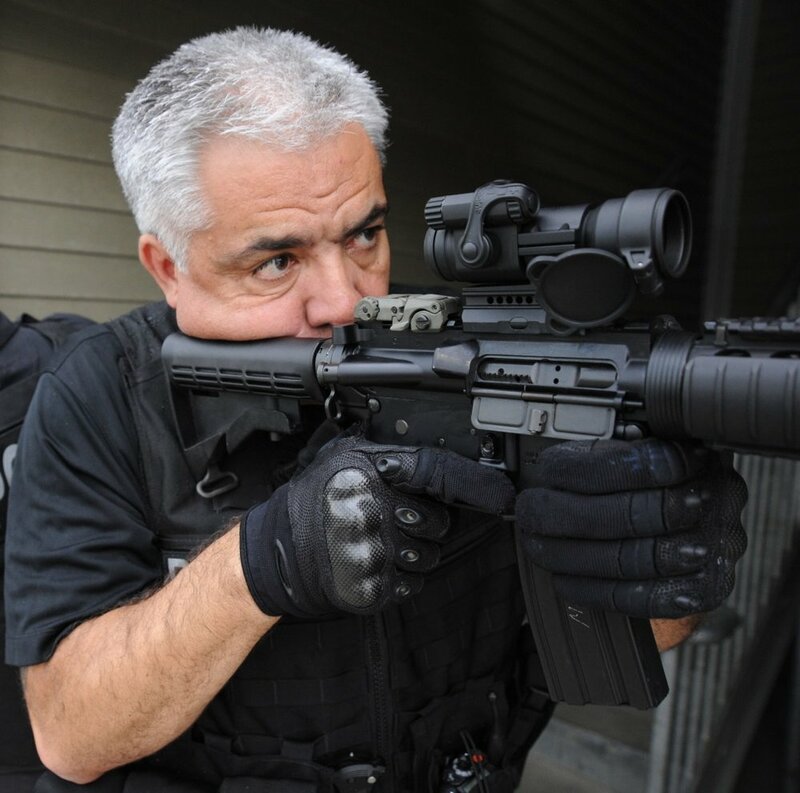 CRAIG was SWAT Team Leader (Sniper), Instructor in Police Academy teaching Defensive Tactics and Special Forces, Instructor at the FBI Hostage Rescue School where he won the TopShot award. Expert in Arms and Self-Defense. Currently assigned to the Division of Major Crimes as a Detective. Current Member of the ERE / Conflict Negotiator. Assigned to the SWAT team with numerous tactical courses: MP5 Operator, Observer and / or Tactical Sniper, APC hostage rescue, vehicle demolition and others. Anti-Terrorist Adviser, US Department of State. With vast military experience and as an instructor in more than 20 disciplines in Police Academies in the USA and Chile. Kung Fu Practitioner and Commercial Engineer with significant experience advising national and international companies in: Management Control and Financial Management, Training in Customer Sales and Loyalty, Operation Improvement, Corporate Risk Analysis and Evaluation, Internationalization of Companies, Audit and Internal control. 2nd Dan Black Belt and Instructor in Tae Kwon Do and "Jhoon Rhee System", Karate Do practitioner, Shito Ryu and Kick Boxing. Personal Trainer and currently student of Engineering in Business Administration with experience in Human Resources, Remunerations, Training and Coordinator at the level of Health Service.